Qing Gele was born in 1977 in Inner Mongolia. motto: Work hard or you will fail. 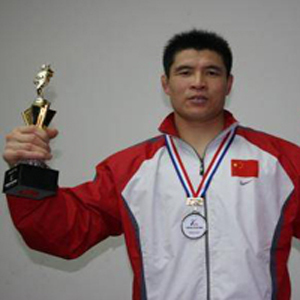 Since 1999 he began to train for Wushu Sanda in Inner Mongolia Sports and Workers team. The twice place of the 90kg grade of 2002 National Sanda Tournament and the first place of the 90kg grade of Championship.